Can You Die from a Vicodin Overdose? A Vicodin overdose occurs when a person takes too high a dose, resulting in depressed breathing and heart rate.5 These effects can be lethal, so knowing how to identify and get help for a Vicodin overdose may save a life. Vicodin use can result in a number of side effects including drowsiness, dizziness, constipation, and nausea.4 When a person takes too much Vicodin, side effects can become much more serious. The most dangerous signs of a Vicodin overdose are reduced or stopped breathing and slowed or weak heartbeat. If you observe overdose signs in yourself or a loved one, call 911 right away. Emergency professional medical staff can help stop an overdose and prevent permanent damage or death. While you wait for help to arrive, ensure that the overdosing person is in a safe place, and kept awake and upright if possible. Monitor his or her condition and try to provide as much information as possible to the emergency crew (how much Vicodin the person took, when he or she took it, whether he or she has a prescription, and the person’s age and weight). Method of use: Faster methods of ingestion, such as snorting or injecting, carry a higher risk of immediate overdose than slower routes such as swallowing pills. Mixing drugs: Using Vicodin with other depressant substances such as alcohol can compound the depressant effectsand lead to respiratory depression and death. Tolerance: As a person uses Vicodin, he or she may find that the drug does not have the same level of effect as it did when he or she first started taking it. This is known as tolerance, and it can lead to escalating patterns of use, including higher and more frequent dosing, which can cause overdose. Relapse: Returning to Vicodin use after an extended period of abstinence may lead some users to try their pre-treatment dose, which can result in an overdose due to the decrease in tolerance that occurs throughout any period of abstinence. Naloxone blocks the effects of Vicodin. When a person is overdosing on Vicodin, he or she needs emergency medical help right away. Once in the care of professional medical staff, the person will be closely monitored.5 Vital signs such as breathing, temperature, pulse, and blood pressure will be carefully kept track of, and overdose symptoms will be addressed. In cases of potentially lethal overdose, medical providers may turn to the use of naloxone, a medication that immediately blocks the effects of opioids such as Vicodin.6 Naloxone can put users into an instant state of Vicodin withdrawal, including very unpleasant flu-like symptoms.6,7 Though uncomfortable, these symptoms are not life-threatening. The faster a person receives Vicodin overdose treatment, the better his or her chances of a full physical recovery. Recovering from Vicodin overdose may take more than surviving the overdose, though. If a person survives an overdose, follow-up treatment is an important next step. People that have overdosed may have a Vicodin addiction problem, and getting help may offer them the best chance of recovery. Professional help can aid recovering users by teaching them coping mechanisms,relapse prevention skills, and how to identify and successfully avoid use temptation scenarios. Getting help following an overdose can help prevent another overdose as well as any future damage the user may incur due to long-term abuse. There are different options for those seeking help with a Vicodin abuse problem. 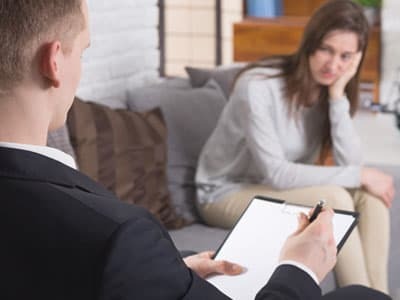 Outpatient programs involve continuing to live at home and attending a treatment center on a regular basis for therapy and counseling sessions. Inpatient rehab may be a good option for more severe cases of addictionor for those that struggle with triggers at home. Inpatient or residential programs involve extended stays at a treatment facility where the person can focus entirely on recovery in a sober environment. Most programs include a combination of detox, group therapy, individual counseling, and other group activities. Self-help groups are free and can supplement a formal treatment program or serve as helpful aftercare. 12-step programs such as Narcotics Anonymous offer members a supportive community of like-minded sober peers. This can be especially helpful for recovering individuals once a formal program has ended. Medication-assisted treatment is sometimes incorporated into recovery programs for opioid overdose A physician will prescribe a replacement medication such as methadone or buprenorphine that acts on the same receptors in the brain as Vicodin, helping to control withdrawal symptoms and cravings. If you or someone you loved has struggled with Vicodin use, suffered an overdose, or may be at risk of overdosing, don’t hesitate to get help. Call our free hotline at 1-888-319-2606 Who Answers? to speak with a recovery support specialist, who can help you find the right recovery program to end Vicodin abuse today.
. U.S. National Library of Medicine. (2016). Hydrocodone Combination Products. MedlinePlus.
. U.S. National Library of Medicine. (2016). Hydrocodone. MedlinePlus.
. National Center for Biotechnology Information. PubChem Compound Database; CID=5284569. Hydrocodone.
. Drug Enforcement Administration. Drug Fact Sheet: Hydrocodone.
. U.S. National Library of Medicine. (2015). Hydrocodone/oxycodone overdose. MedlinePlus.
. Substance Abuse and Mental Health Services Administration. (2016). Naloxone.
. U.S. National Library of Medicine. (2016). Opiate and opioid withdrawal. MedlinePlus.
. U.S. National Library of Medicine. (2014). Cerebral hypoxia. MedlinePlus.
. U.S. National Library of Medicine. (2015). Acetaminophen overdose. MedlinePlus.
. U.S. National Library of Medicine. (2015). Loss of brain function – liver disease. MedlinePlus.